What animal is it the hardest to have a staring contest with? A fish. They cannot blink! 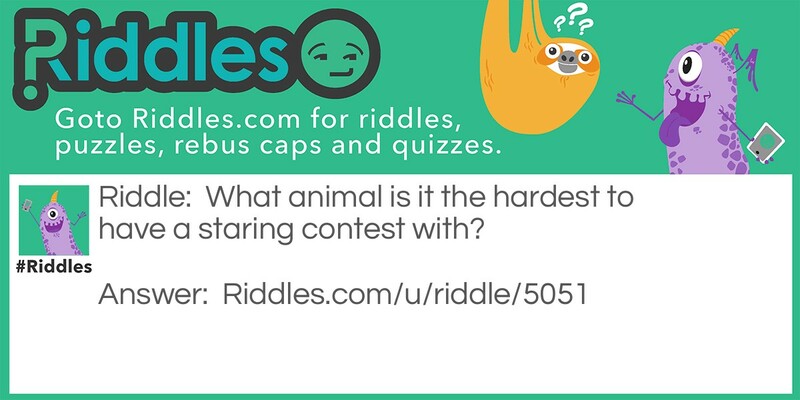 Stare At The Bear Riddle Meme with riddle and answer page link.